Federal prosecutors in New York expand their probe of Donald Trump’s inaugural committee, with a wide-ranging subpoena for documents related to donations and spending. The subpoena seeks all information related to inaugural donors, vendors, contractors, bank accounts of the inaugural committee, and foreign contributors. Only US citizens and legal residents can legally donate to an inaugural committee. But reports in December said federal prosecutors were focusing on whether individuals from Middle Eastern nations — including Qatar, Saudi Arabia and the UAE — used straw donors to disguise money funneled into the inaugural committee and a “Super PAC”, hoping for influence over US policy. Prosecutors are investigating crimes such as conspiracy to defraud the US, mail fraud, false statements, wire fraud, and money laundering. 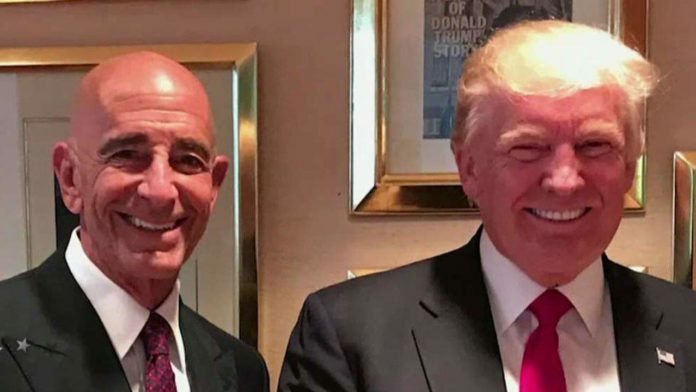 Thomas Barrack, a billionaire financier and real estate developer with extensive networks in the Gulf and one of Trump’s closest friends, chaired the inaugural committee and raised money for the Super PAC, formed in summer 2016 when Trump’s presidential campaign was short of cash and struggling to raise funds from major Republican donors. Barrack is not mentioned by name in the subpoena. Trump’s inaugural committee raised a record $107 million, more than twice the amount for President Barack Obama’s 2009 inaugural. Fundraising and operations were headed by Rick Gates, a former senior Trump campaign official who was deputy chairman of committee. Gates pleaded guilty last February to charges related to his work with Paul Manafort, former Trump campaign chairman, as a political consultant in Ukraine. He is now cooperating with prosecutors in the Trump-Russia investigation of Special Counsel Robert Mueller. The subpoena names one donor, Los Angeles venture capitalist Imaad Zuberi and the firm Avenue Ventures, which donated $900,000 to the inaugural committee. A spokesman for the committee said it will cooperate with the subpoena.